Your contract is with Lucketts Travel Limited. Our Trading Charter and Booking Conditions set out clearly and simply the responsibility we have to you and in turn, you have with us, when a contract is made. When you book a holiday with us, which doesn't include a flight, the money you pay us for the booking will be protected by the Bonded Coach Holidays Group of the Confederation of Passenger Transport UK Ltd, this is a Government approved consumer protection scheme. Please see the BCH Consumer Guarantee at www.bch-uk.org . There is no financial protection if you purchase just transport or accommodation-only from us. When a booking is made, the 'lead name' on the booking guarantees that he or she is 18 or over and has the authority and accepts on behalf of the party the terms of these booking conditions and pays the deposit indicated in the brochure. After we receive your booking and all appropriate payments, if the arrangements you wish to book are available, we will send you or your booking agent a confirmation invoice within 14 days. Please check the confirmation carefully to ensure all the information is correct. All monies paid to your booking agent are held by them on your behalf until we issue our confirmation invoice, thereafter your booking agent holds the money on our behalf. A binding agreement will come into existence between us when we dispatch this invoice to the 'lead name' or your booking agent. This contract is governed by English Law, and the jurisdiction of the English Courts. The balance of the price of your holiday must be paid at least 8 weeks before your departure. If you book within our balance due period, you will need to pay the total holiday cost at the time of booking. If the balance is not paid in time we reserve the right to cancel your holiday, retain your deposit, and apply the cancellation charges set out in the paragraph below. The date of cancellation will normally be the date we receive your written confirmation that you intend to cancel or 15 days after the balance due date, whichever comes first. Where optional items are purchased as part of the holiday, these are payable on the balance due date except where items, such as theatre tickets, have been specifically purchased for you. In this case the cost may be payable at a separate date notified to you and will not normally be refunded unless we obtain a refund from the supplier we use. 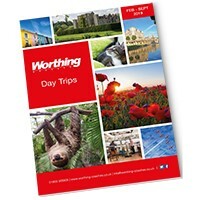 Although Lucketts Travel Limited make every effort to ensure the accuracy of the brochure information and pricing, regrettably errors do sometimes occur. You must therefore ensure you check the price and all other details of your holiday with us at the time of booking and when you receive our confirmation invoice. 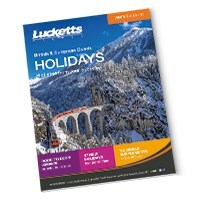 Lucketts Travel Limited endeavour to ensure that the most up to date and correct prices are shown in our brochure. Occasionally, an incorrect price may be shown, due to an error. When we become aware of any such error, we will endeavour to notify you at the time of booking (if we are then aware of the mistake) or as soon as reasonably possible. We reserve the right to cancel the booking if you do not wish to accept the price which is applicable to the holiday. Local Authorities in many towns and cities throughout Europe have introduced new tourist taxes which must be paid directly to the hotel by all guests in person. These taxes are not included in our prices but we will notify you when applicable. Holiday prices include all travel, hotel accommodation and meals as specified in the holiday description and VAT payable in the UK where applicable. The price of the holiday will not be subjected to any surcharges except those arising from exchange rate changes, transportation including the price of fuel, air & ferry operator fares and tolls, embarkation or disembarkation fees at terminals, duties and taxes (including the rate of VAT). Even in these cases we will absorb the cost equivalent to the cost of first 2% of the holiday price. Amounts more than this plus £1 administration fee and Travel Agents commission will be surcharged to you. If this means the total cost of the holiday increases by more than 10% then you are entitled to cancel your holiday and receive a full refund of all monies paid except any insurance premium and amendment charges. If you exercise the right to cancel we must receive written notice within 14 days of the date of the surcharge invoice. The currency exchange rate used in the holiday costings are based on rates as at the publication date of this Charter. If, after our confirmation has been issued, you wish to change to another of our holidays or change departure date, we will do our utmost to make the changes, but we cannot guarantee to do so. However, notification must be received in writing at our offices from the person who signed the booking form, at least 4 weeks before departures. This must be accompanied by a payment of £20.00 to cover our administrative costs, plus costs we incur in making the amendment. Alterations may not be able to be made within 4 weeks of departure and any such request for an alteration will be treated as a cancellation of the original booking and will be subject to the cancellation charges set out in paragraph below. Some arrangements cannot be changed without paying a cancellation charge of up to 100% of the ticket cost. IMPORTANT NOTE: Compensation will not be payable if the holiday is cancelled because the number of persons booked is less than the number required, or for events beyond our control, which include: war, threat of war, riots, civil disturbances, terrorist activity and its consequences, industrial disputes, natural and nuclear disasters, fire, epidemics, health risks and pandemics, unavoidable and unforeseeable technical problems with transport for reasons beyond our control or that of our suppliers; hurricanes and other actual or potential severe weather conditions, and any other similar events. You are also advised to check with The Foreign and Commonwealth Office Advice Unit regularly at www.fco. gov.uk/travel prior to travel. If you have a problem during your holiday, please inform your Tour Manager, your Driver or the relevant Supplier/Resort Representative immediately who will endeavour to put things right. If your complaint cannot be completely resolved locally, you must complete a Holiday Report Form which can be obtained by your Driver or local Representative, which you should keep. 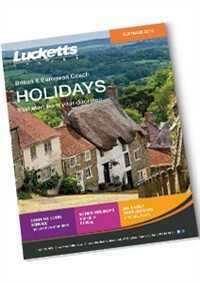 If you remain dissatisfied please follow this up within 14 days of your return home by writing to Lucketts Travel Limited, Broadcut, Wallington, Fareham, Hampshire PO16 8TB giving your original booking reference number and all other relevant information, including the reference of the Holiday Report Form. It is therefore a condition of this contract that you communicate any problem to the supplier of the services in question AND to our Representative whilst in resort and obtain a written report form. If you fail to follow this simple procedure, we cannot accept responsibility, as we have been deprived of the opportunity to investigate and rectify the problem. Should your complaint not be resolved and you wish to pursue the complaint further the Bonded Coach Holiday Group have an Alternative Dispute Resolution scheme and full details are available from BCH/CPT. Please contact them at, the Confederation of Passenger Transport, Fifth Floor South, Chancery House, 53-64 Chancery Lane, London. WC2A 1QS. In some foreign countries, standards of infrastructure, safety and hygiene may be lower than those to which we are accustomed in the UK. You should therefore exercise greater care for your own protection. There may be countries that we visit that have special medical requirements for tourists. These regulations are subject to change and our clients are responsible for complying with entry and current health requirements. If you are not sure of the health requirements for the country you are visiting, you are advised to check with your own GP before travelling. You are also advised to refer to the Department of Health leaflet "Health Advice for Travellers"
We reserve the right to refuse any booking in the absence of a doctor's certificate confirming that you are fit to travel. Where we provide comfort stops you are encouraged to walk around. Exercise reduces any discomfort which may be caused by periods of immobility. For all Continental holidays, you will require a full 10-year British Passport (machine readable) valid for the period required for the country or countries you are visiting. If you do not hold a full British Passport or you have any doubts about your status as a resident British subject, you must check with the Embassy or Consulates of the Countries to be visited to confirm the Passport or visa requirements when you book. We cannot accept responsibility if passengers are not in possession of the correct travel documents. For full details on passport requirements, please contact 'the identity and passport service' on 0300 222 0000 (www.direct.gov.uk). All special needs and requests should be entered on the booking form. These cannot be guaranteed except where confirmed as part of our holiday commitment to you and are detailed on your holiday booking confirmation. We are keen to ensure that we plan the arrangements for your holiday so that special needs and requests can be accommodated as far as possible. If you will need assistance, or may be unable to fully enjoy all aspects of your holiday you must tell us in advance so that we can maximise your enjoyment of the holiday. We will need to know if you will need special facilities in the hotel, taking part in the excursions or have difficulty boarding and travelling on the coach or other means of transport. Before booking your holiday, you should be sure that you and your party are both physically and mentally capable of completing the itinerary. 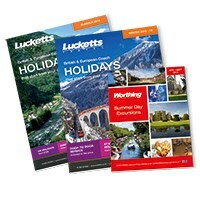 If you need advice or further information, you or your booking agent should contact Lucketts Travel. If you will require a special diet please tell us at the time of booking, or as soon as you are medically advised, together with a copy of the diet. IMPORTANT You must tell us if you have an existing medical condition, disability or complex need that may affect your holiday or other group members' enjoyment of it, before you book your holiday. We reserve the right to request a doctor's certificate confirming you are fit to travel. If, in our reasonable opinion, your chosen holiday is not suitable for your medical condition or disability, we reserve the right to refuse your booking. You are responsible for bringing with you the proper clothing and equipment, which we advise you about in our printed trip information. We want you to enjoy your holiday and will help you select an appropriate trip. Click here to find out more about how we serve our disabled customers. We strongly advise that you take out personal travel insurance for the trip. We have arranged comprehensive travel insurance with Wrightsure Services (Hampshire) Limited, which is outlined above. You must advise us of details of the insurer and the emergency assistance company providing cover and the policy number and 24-hour contact number. The insurance should cover medical and repatriation costs, personal injury, loss of baggage and cancellation charges. If you do not have adequate insurance and require our assistance during your holiday, we reserve the right to reclaim from you any medical repatriation or other expenses which we may incur on your behalf which would otherwise have been met by insurers. You must advise us if you use an alternative insurer, the policy number and 24-hour contact number. We take data protection very seriously and are committed to protecting your personal information. Any personal information you provide to us for example names, postal and email addresses and telephone numbers, will be used in compliance with current data protection law to help provide you with the holiday you book. This may mean passing your personal information onto others, for example hotels, travel companies and public bodies such as customs and immigration control. If it is necessary in order to comply with our obligations to you under this Charter, facilitate your holiday or comply with a legal obligation, we may also send or share your personal information with others that are outside the European Economic Area (EEA). This Trading Charter was published on 24/05/2018.